My name is Joi Wade and I have produced, filmed and edited over 200 videos for my YouTube channel of over 75,000 subscribers. 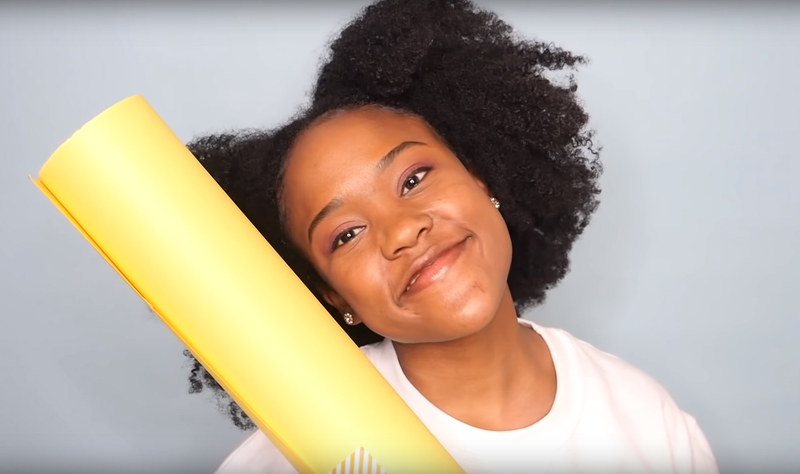 I make weekly content about hair care and my life as a college student at the University of Southern California. I have been making YouTube videos on my channel for five years and the best quality videos are the ones that are filmed at my at home studio. I mainly produce tutorial and advice videos where I am talking directly to the camera. 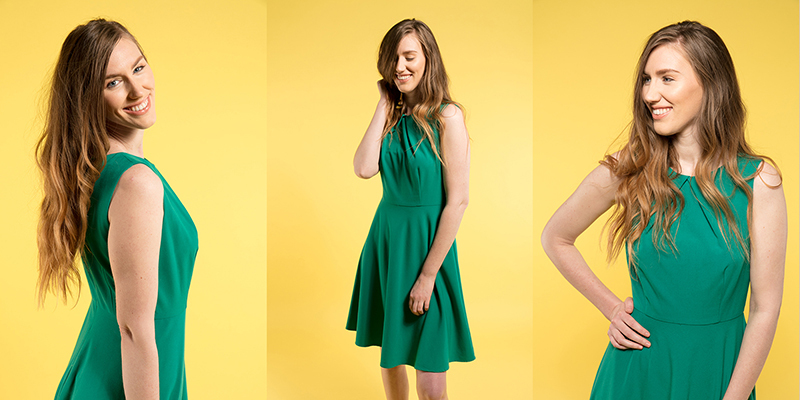 For these, I love to film with my Savage Universal seamless paper backdrops, which come in a variety of colors. 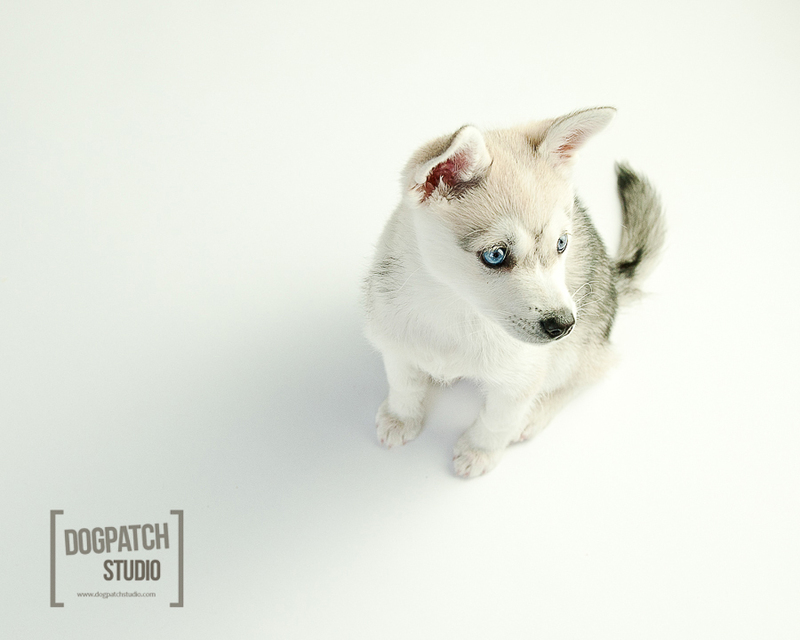 Seamless paper will provide sleek and bright background options for your videos. 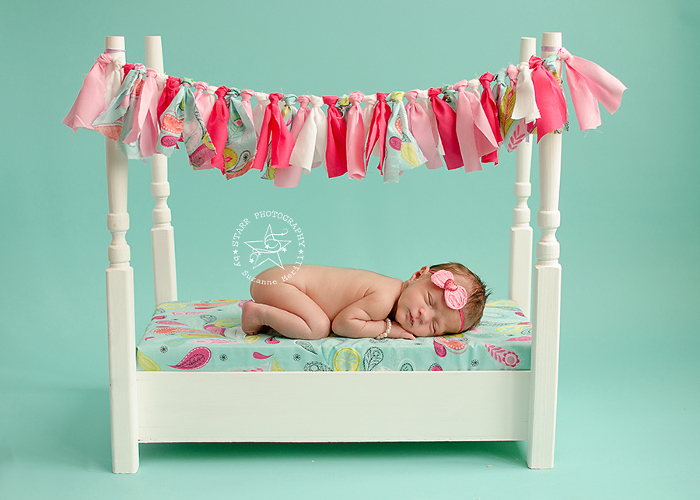 The paper is extremely easy to set up and will not have wrinkles like a fabric backdrop would. To hold up your seamless paper backdrops, you will need a stand. 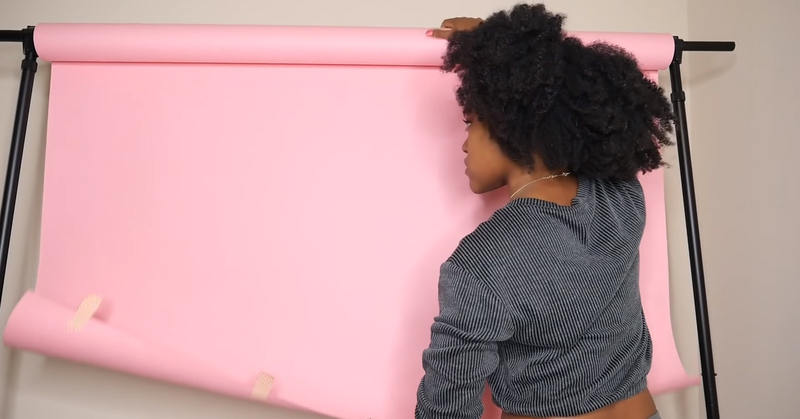 Some influencers choose to cut their seamless paper and tape it to the wall, however, I believe a stand allows for easy set up and take down when you want to change the color of your backdrop. 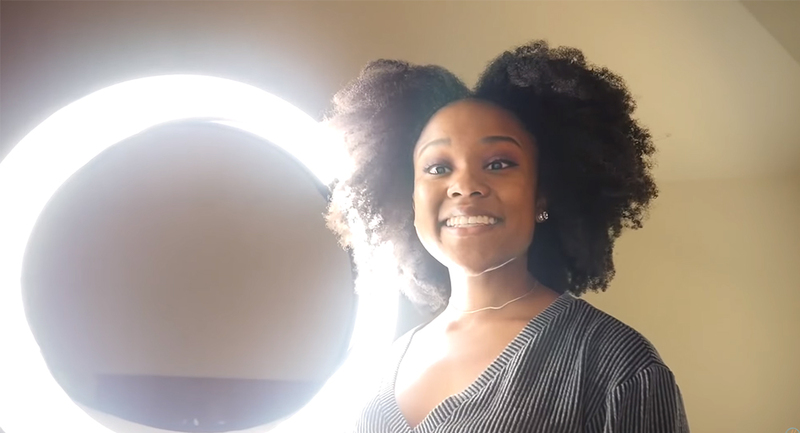 One critical component to your at home YouTube studio is having great lighting to illuminate your backdrop and your face. I use a ring light which is a large circular light that can be dimmed or brightened to various levels. This is a great starting point so you only have to get one light instead of multiple. 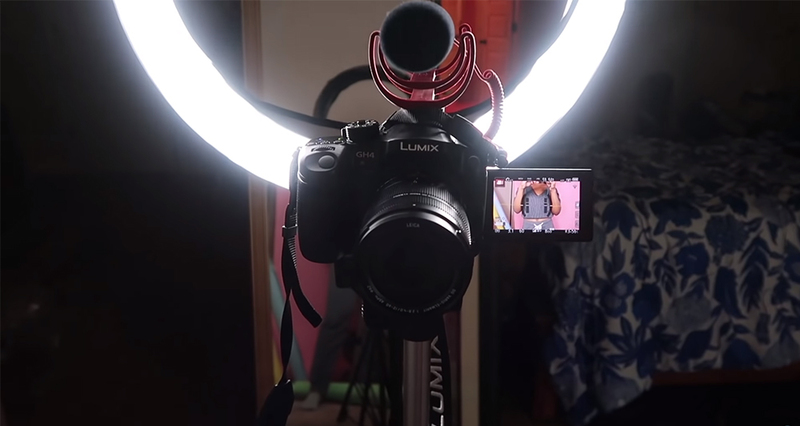 As you get more serious about your channel, you will start to want better camera equipment. First, I started my channel on a webcam, then I moved to a point and shoot that my family owned, next I got my own affordable DSLR (Canon T3i) and currently I have a Panasonic GH4 which is a mirrorless camera. Take a look at your budget and where you are in your journey, you may be surprised that you can do a lot with your iPhone camera with the right lighting and backdrop. Most cameras do not have the ideal in camera audio, especially if you opt in using your iPhone or a more affordable alternative to an expensive DSLR. For great audio, you can use the Voice Memo app on your iPhone to record your video audio and voice over audio. If you want a microphone to connect to your camera’s audio port, I personally love RODE brand microphones. 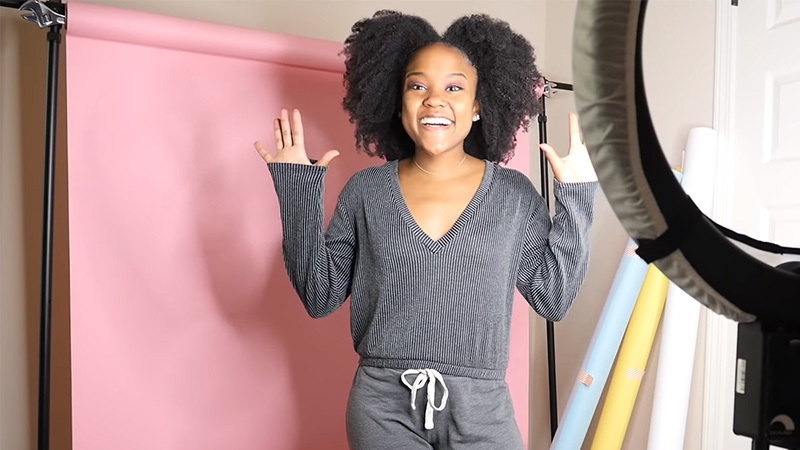 With this simple and affordable at home video studio, you will be able to take your video content to the next level with well-lit footage shot on professional backdrops. Watch my video below where I explain how I set up my at home studio and all of the equipment I use to create my content.